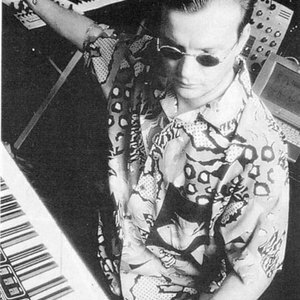 Pete Namlook (born 1960 as Peter Kuhlmann, died 2012) was an ambient & electronic music producer & composer. He founded the German record label FAX +49-69/450464 in 1992. He leaves an impressive body of work, with over 50 albums in his catalog. Releases on the FAX label are coded beginning either PK, PW, PS, or Y/T. PK (Kuhlmann) releases are either solo projects or Namlook collaborating with German musicians. PW (World) releases are Namlook collaborating with non-German musicians. PS (Sublabel) are releases which do not feature Namlook. Releases on the FAX label are coded beginning either PK, PW, PS, or Y/T. PK (Kuhlmann) releases are either solo projects or Namlook collaborating with German musicians. PW (World) releases are Namlook collaborating with non-German musicians. PS (Sublabel) are releases which do not feature Namlook.